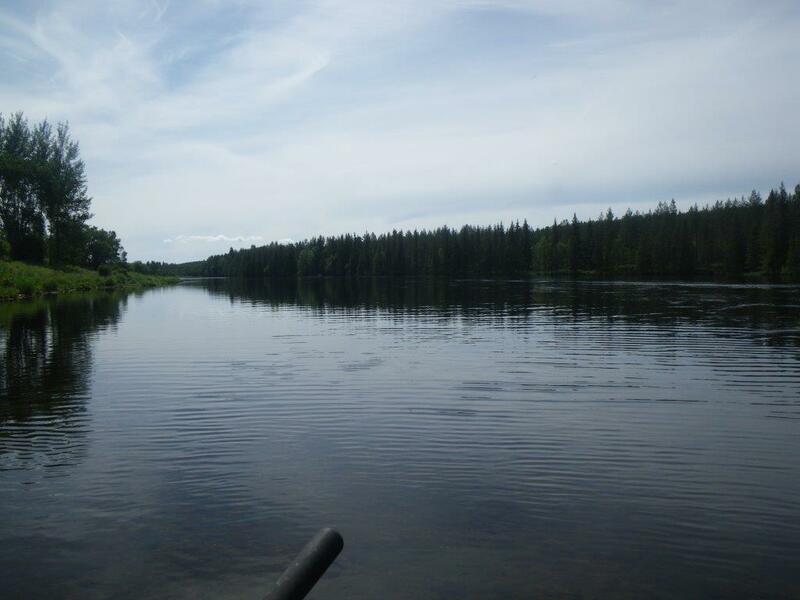 This year we went to Rena that runs into Glomma instead of going to Alvdal and fish in Glomma and Folla as we have done many times before. I drove with Henning and we had arranged to meet Henrik and then be able to arrange to driving so we could drift down the river. When we arrived Lars was also there so the logistics were even easier. Normally we started close to Rena Fish camp and then drifted 10-12 km. 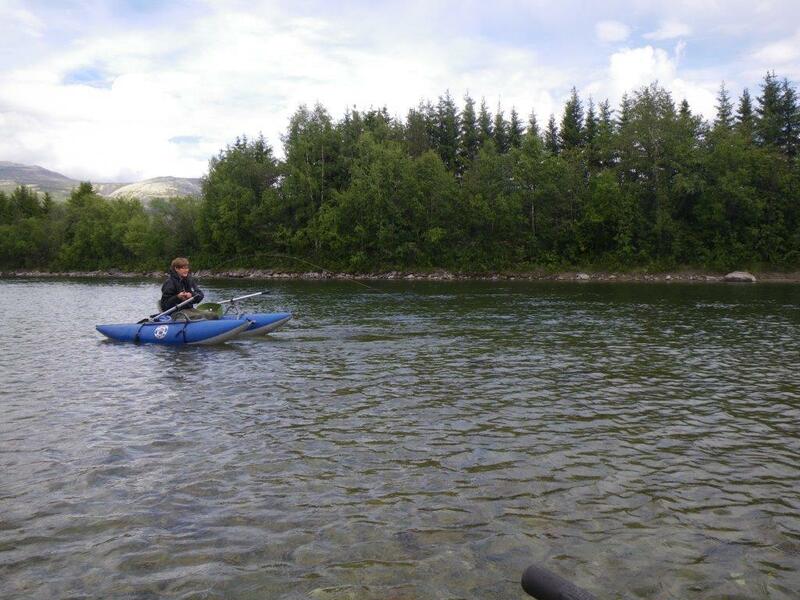 Her we are ready from the starting point where the current was quite slow and there were many whitefish. The first two days were very warm with many insects and we could find graylings that were surface active. 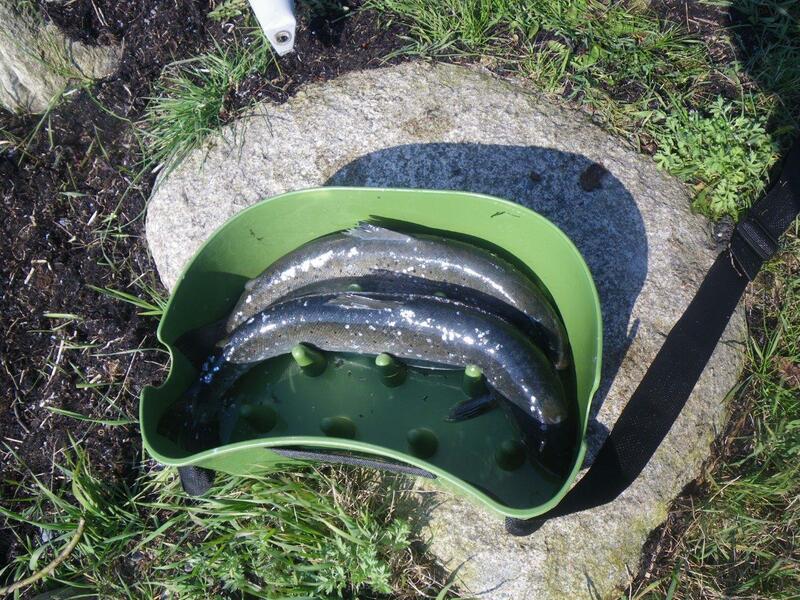 The first day I got 8 graylings with the two largest at 50 cm so I was very content. 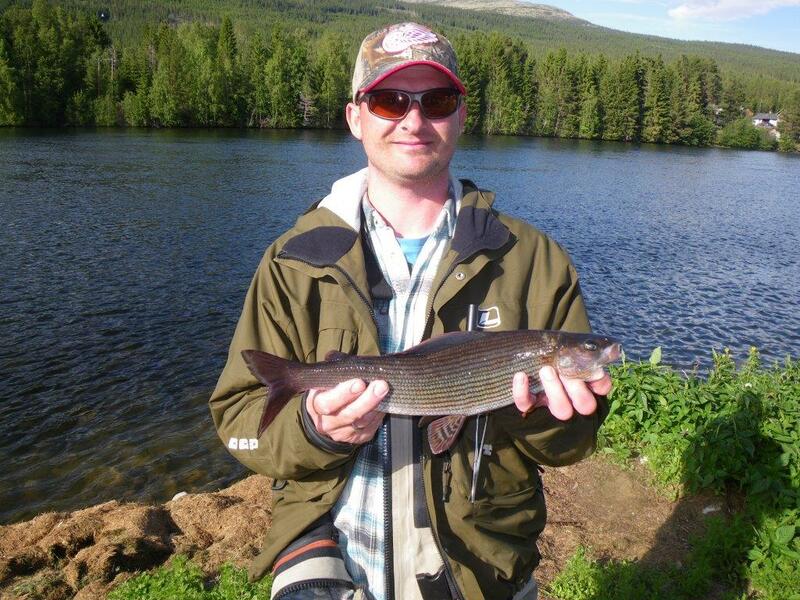 The next day I also got a good amount of nice sized grayling up to 51 cm. Then we had a cold day but with a big hatch af Bäetis Rhodani. You can get a small impression of the numbers of small may flies on this Photo, they were everywhere and with that amount of natural flies it was not easy fishing. Some times it was hard to see your own fly among the naturals. 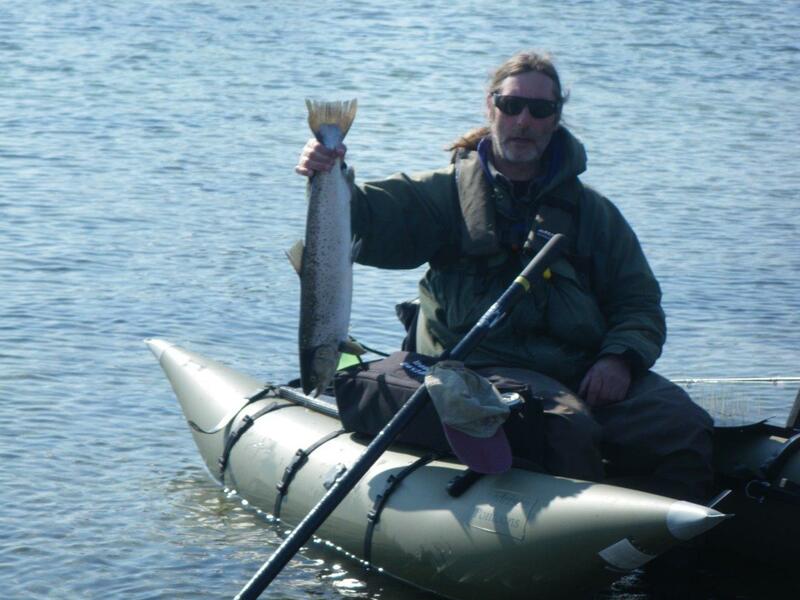 The first days we stayed in our tent as all room were booked and our tent neighbor Tobias got this 4 pound trout one night from the guide boat. There were many different kinds of may flies and stone flies. Here one of the yellow Sulphurea. We had two cold and very windy days. One of these days the fishing camp had arranged a workshop where very skilled fly tiers showed their skills and you could also try splitcane rods and just tell stories to equally narrow minded people like your self. 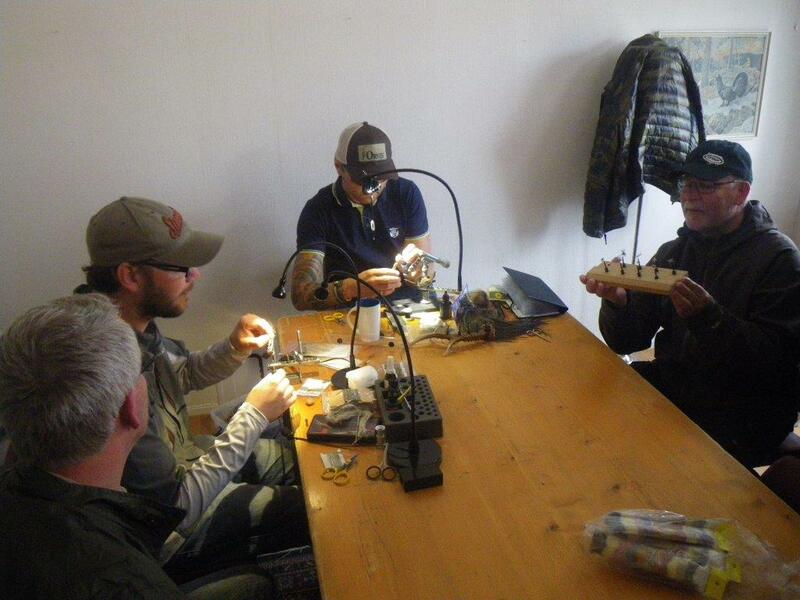 Here Markus and Anders are tying dry flies. 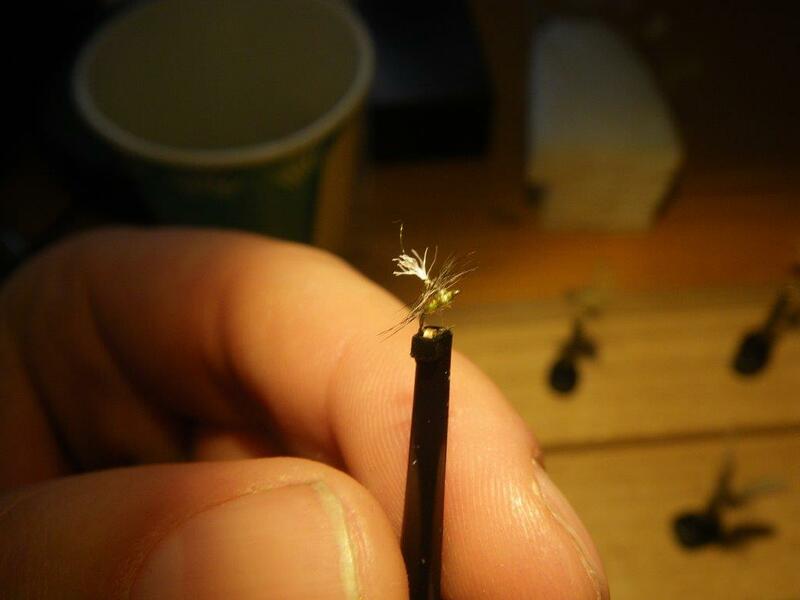 Anders made this parachute dry fly in size 32. I must admit that I was very impressed. 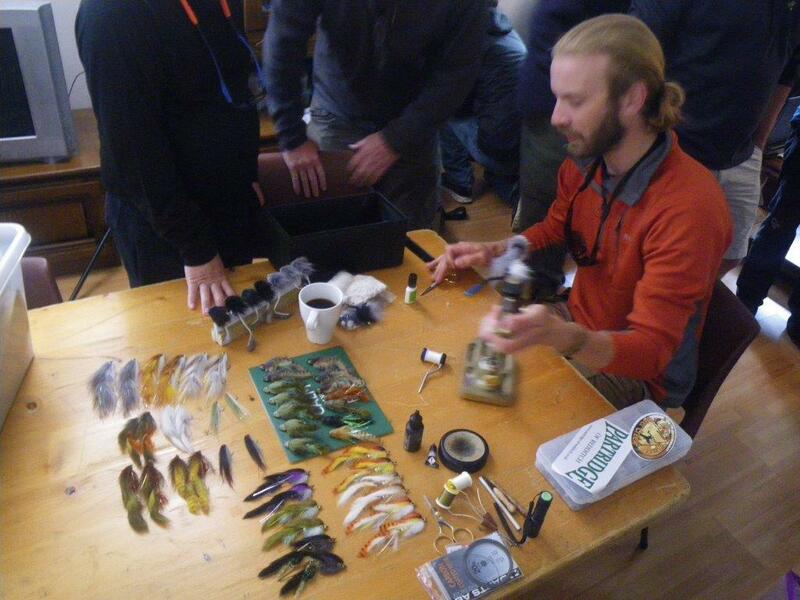 Andreas showed some of his streamer flies. 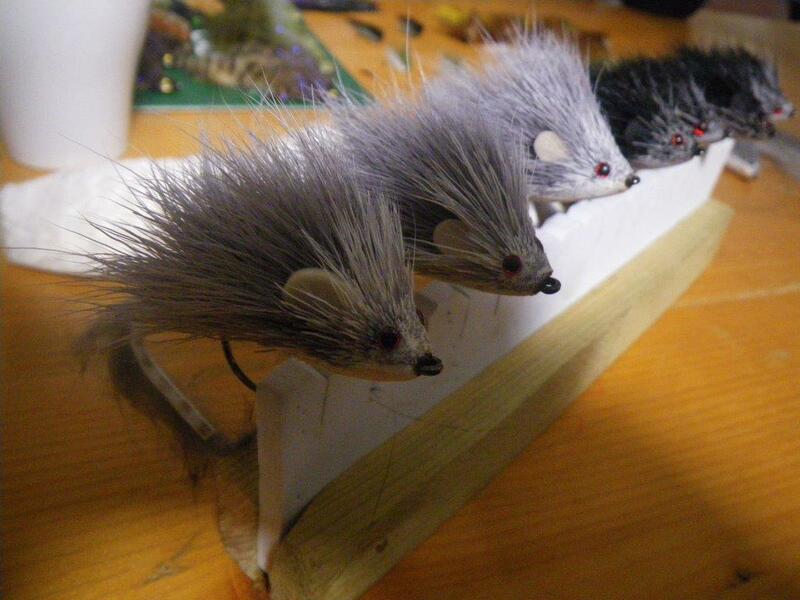 Here some mice flies that will make you reach for the trap. 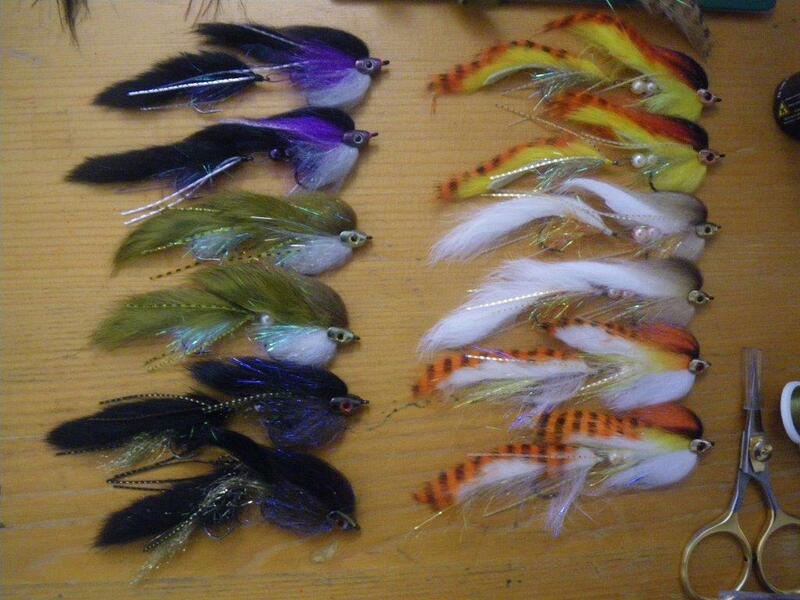 And some streamer patterns that he actually uses for trout. I would like to try that. A view down one of the calmer parts of Rena. We had to adjust to some of the trout fishing as it was done blind presenting the dry fly close to the banks when drifting. After a few days we got the technique and from the on I got 7-14 trouts a day. 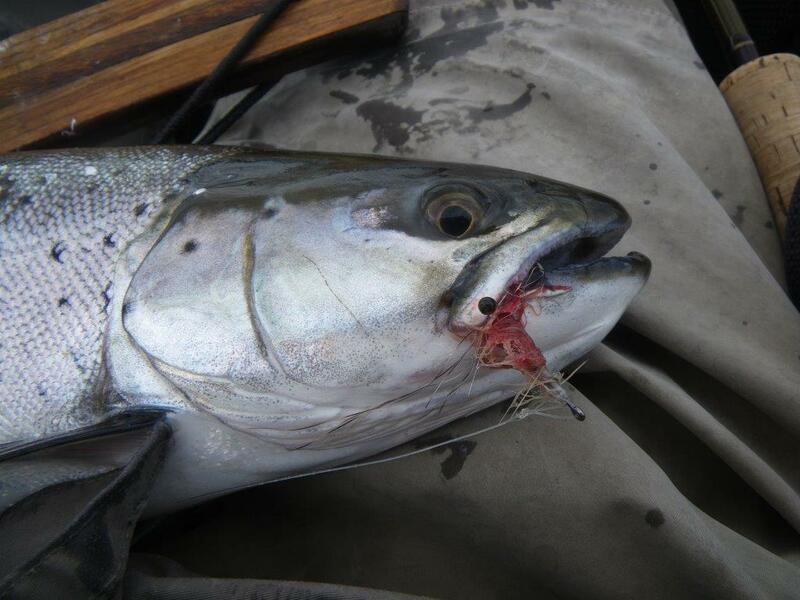 Unfortunately I lost my best trout after a fight for several minutes . 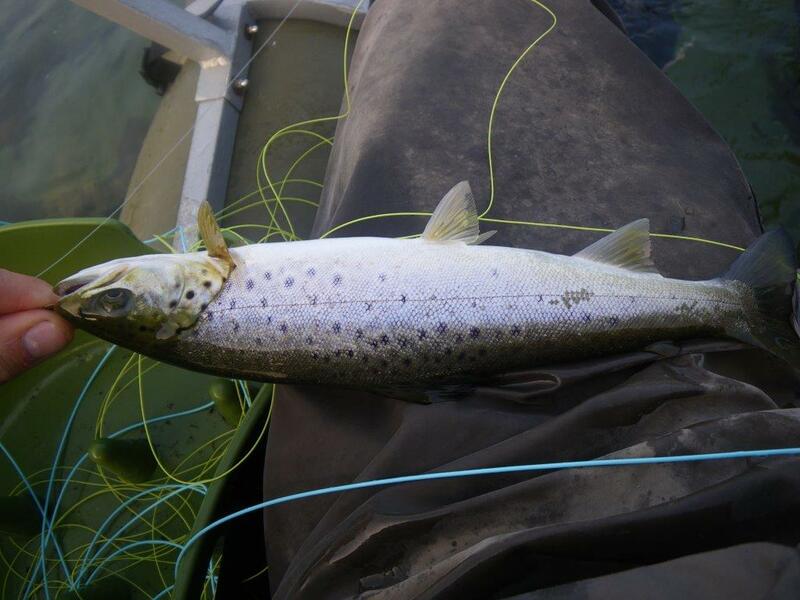 Here is one of Henriks trouts a well built brown trout. Henrik presenting one of his graylings. 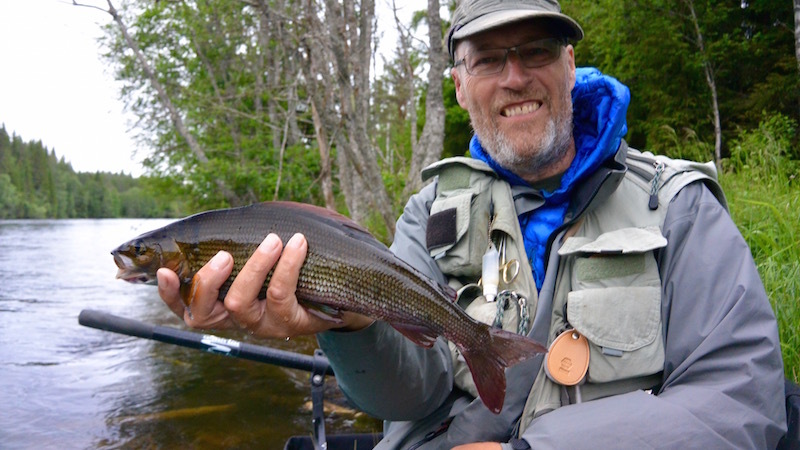 This was the first time we tried Rena but we really would like to try it Again as the camp had a good atmosphere, nice people and there were some very fish in the stream, so like Arnold says: “I´ll be back”. 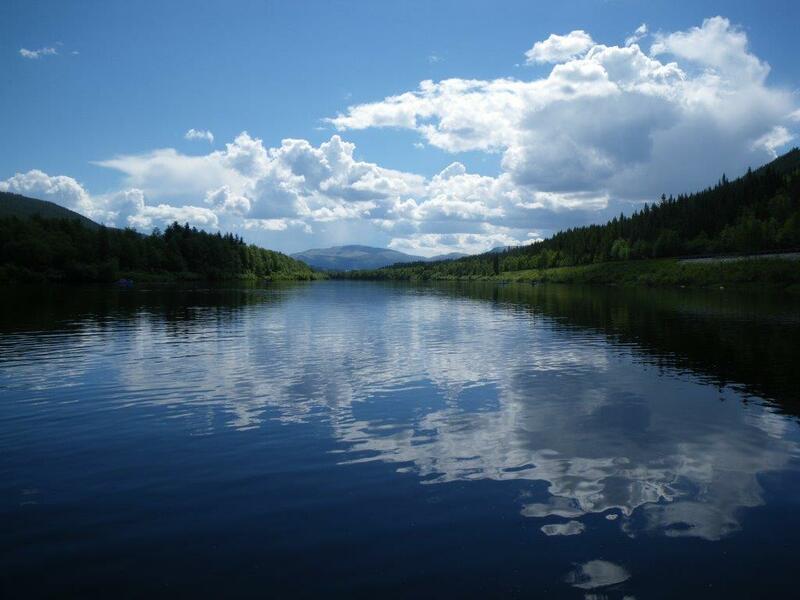 The annual trip to the Southern part of Sweden fishing for searun Brown trout from pontoon boats. This year 2 x Henrik, Lars and Jan came along. The first and second day were very windy and it was hard work to hold the boats with the fins. I managed to catch nothing as the only one. 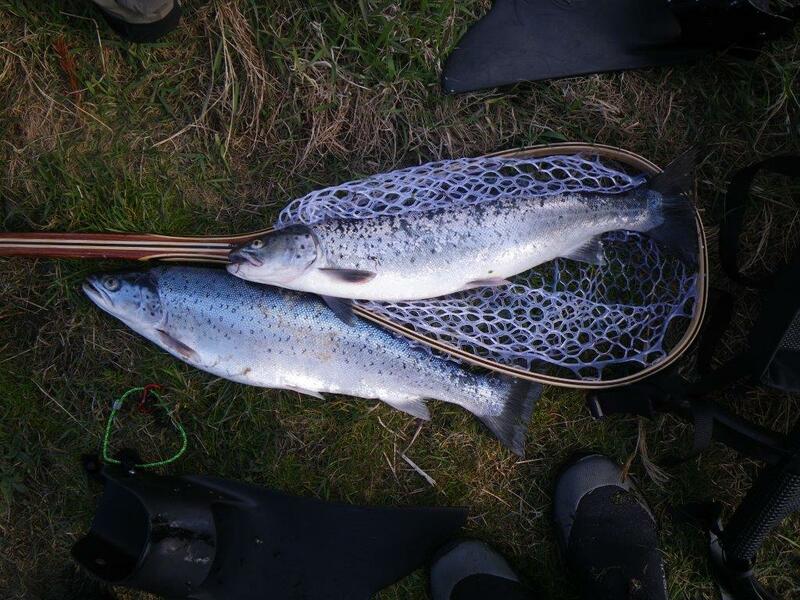 The Winter has been mild as we normally catch many kelts but this day and it proved to be the rule we got more blank fish but also smaller fish. 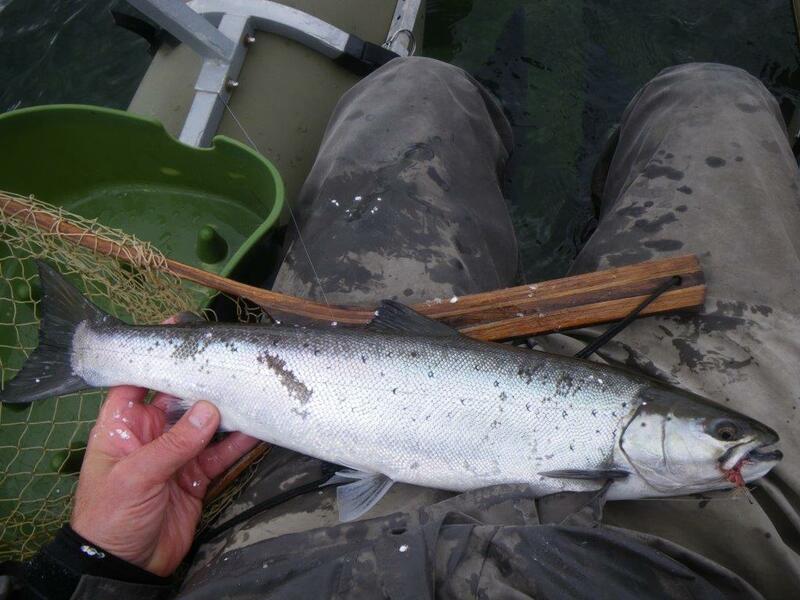 Lars got this nice fish that was released as it had been spawning this Winter but it was in nice condition anyway. The third day was calm and sunny and the water as very clear and without any small waves to blure things a bit, I did not like the conditions. I did manage to get a couple of fish. Here a nice fish that just lacked ½ inch to be legal. 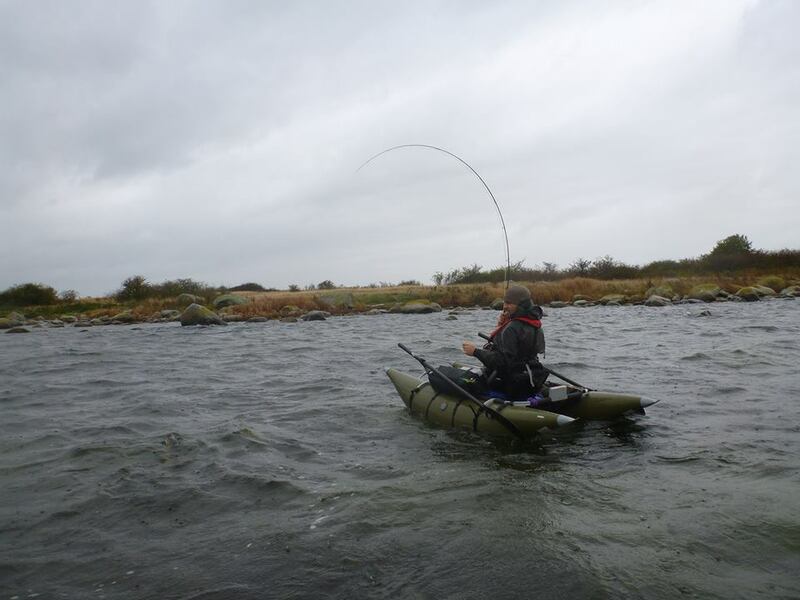 It was caught on a pattern known as Brakvandsrejen (the brackish Water shrimp) made by Henrik. This pattern was probably the most efficient pattern on this trip. Jan got in the end of the day a fish that was big enough to keep. The last day was spent at Kåseberga along the hills of Hammar. Here we saw cranes on the move and the archetypical bird of Skåne – the kite. 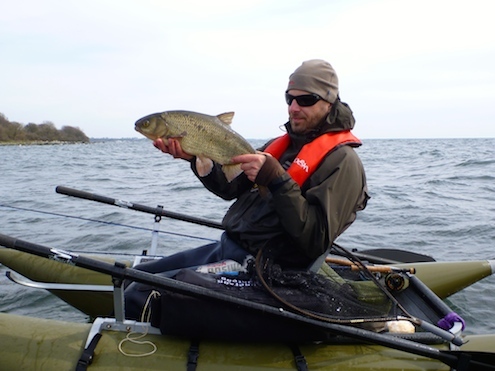 This day everyone got fish and Lars and Jan each got one around the 2 kg mark – both very nice fish. 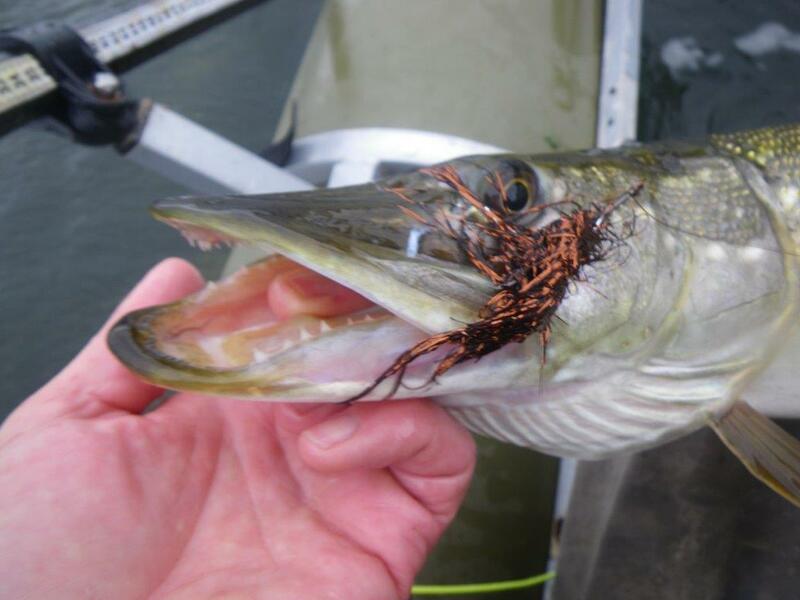 3 days of pike fishing from pontoon boats in the brackish water of the Baltic sea in Sweden with 10 fellow fly fishermen. The weather forecast was acceptable but as usual it was worse than predicted. 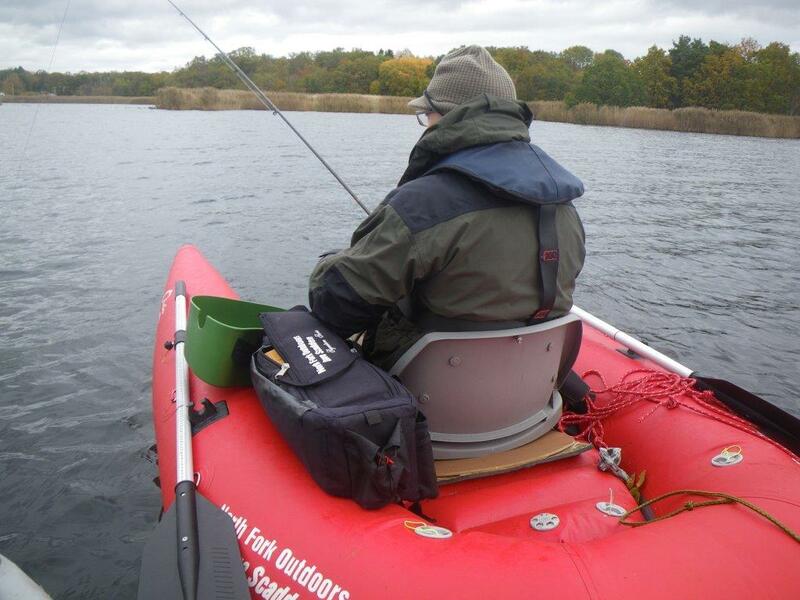 Erland fished from a Scadden boat were the seat was exchanged to a moulded seat with much better comfort as this is a weak point in this construction. 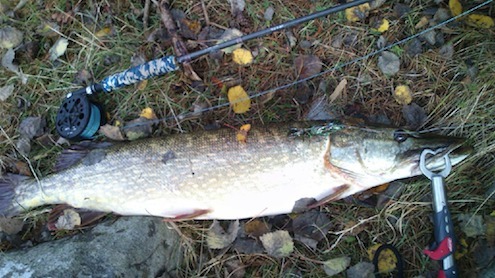 Erland this day got this very nice pike – 108 cm. It was by a good margin the best fish of the trip. The lip piercing we could have done without on the photo. The second day it rained all day. I fished with Søren and only got 2 fish each and lost a couple as well but we ended early to make a nice dinner and have some beer and rum. The last day it was not raining but still quite windy so at times we had to work hard. Here Thomas is fighting a pike in the waves. and presenting it before release. The last day started really slow for me but later I found some spots with pikes that seemed to pile up in spots. 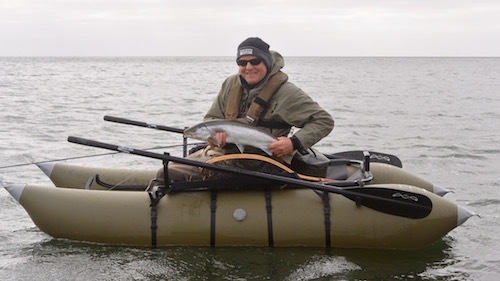 I got 17 pikes and the last one was a good-sized fish in the 9 – 10 Pound range so I was content. 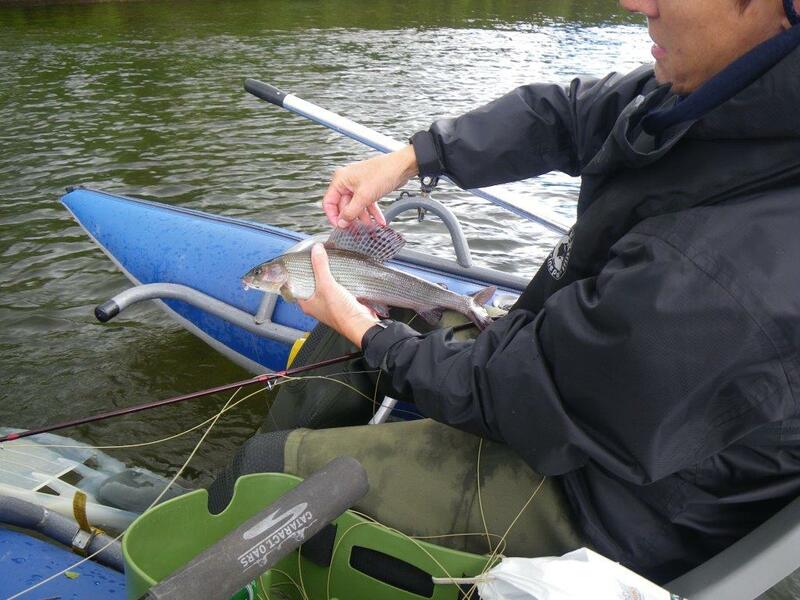 Everyone got fish in good numbers but we missed more bigger fish and could do without the rain. A weekend trip with the Bombay Fly Guys always gives many laughs and sometimes a hangover. This trip did not disappoint and any way. 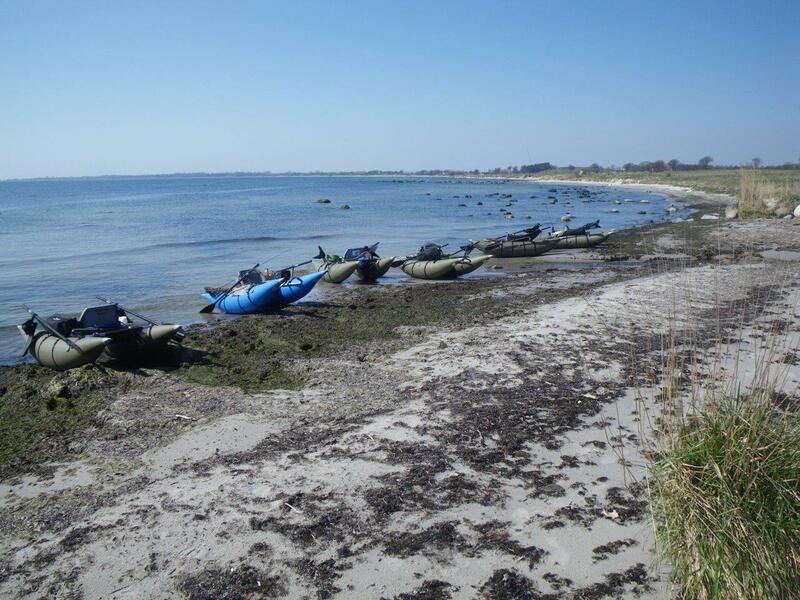 We were 14 fly fishermen and it was my first visit to Barsø, which as a small Island app. one mile² in the Southern part of Denmark. We had rented a nice house with plenty of room and only 100 feet from the water. 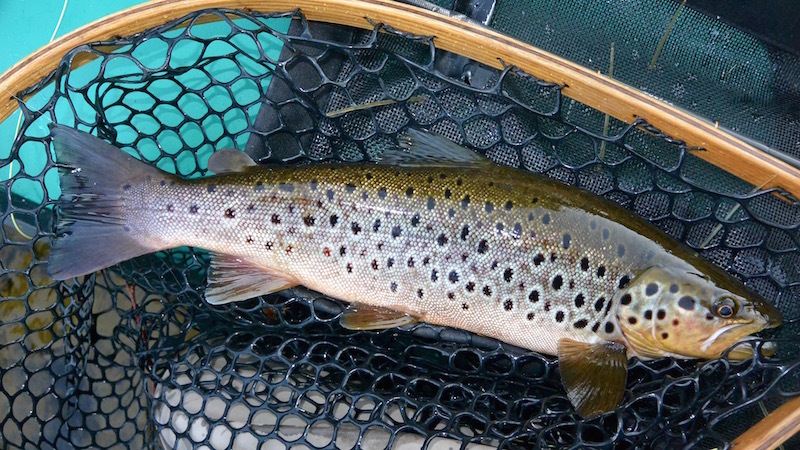 all around the Island it looked like a hot spot for sea run Brown trout. The first afternoon I got 6 fish but they were all like this – too small and the rest of the Guys did not do any better. 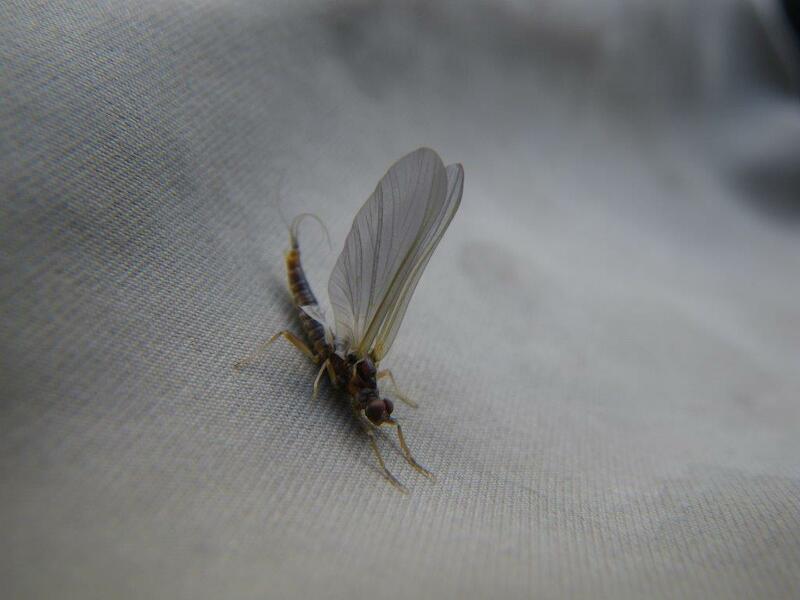 The second day I got 4 and one was actually big enough to kill (42 cm) but it was released. 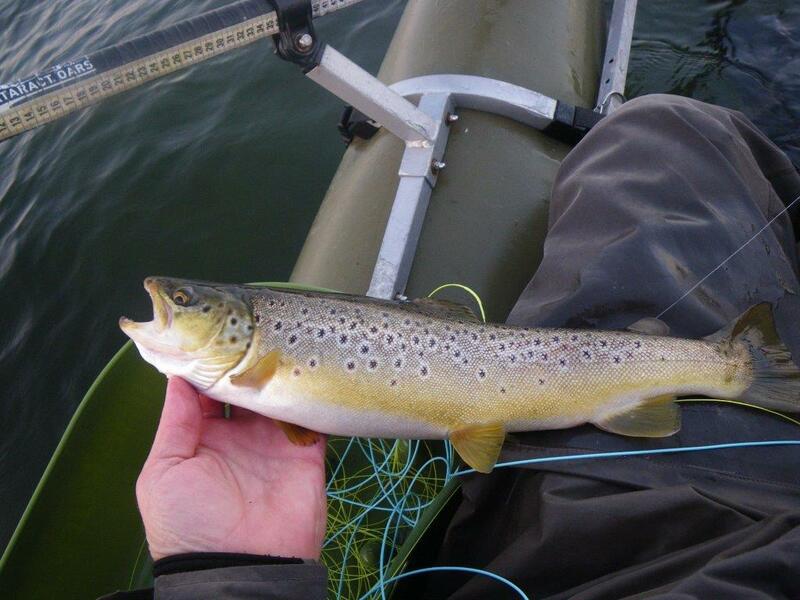 The bigger trouts were all coloured maybe due to the upcoming spawning but maybe it is like in Mariager Fjord were the sea run brown trout most of the year looks like a regular brown trout. 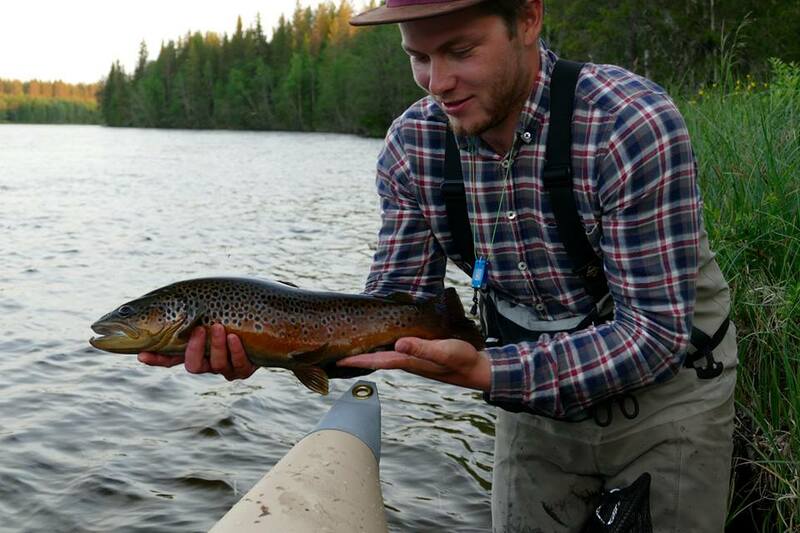 Henrik got this nice 52 cm fish on a new fly created by Ove Monrad. 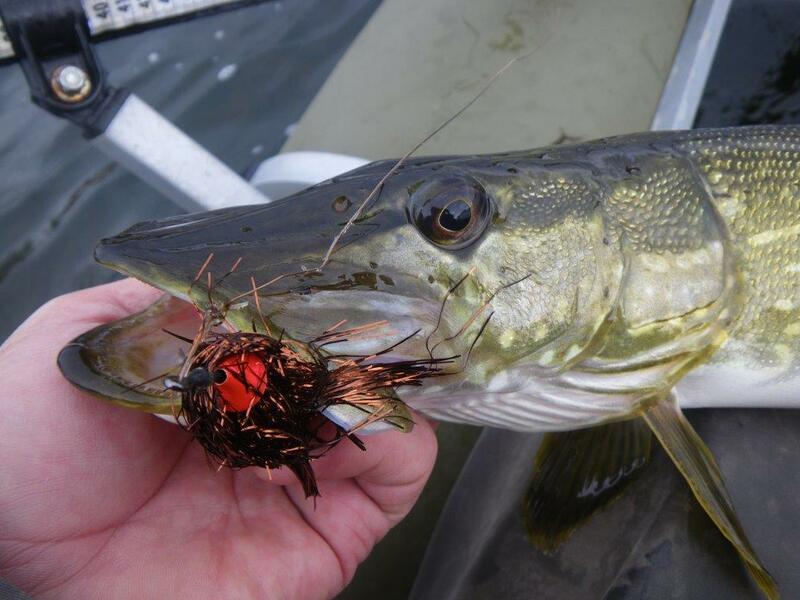 It only took 5 minutes from he tied on this fly until he landed the fish. 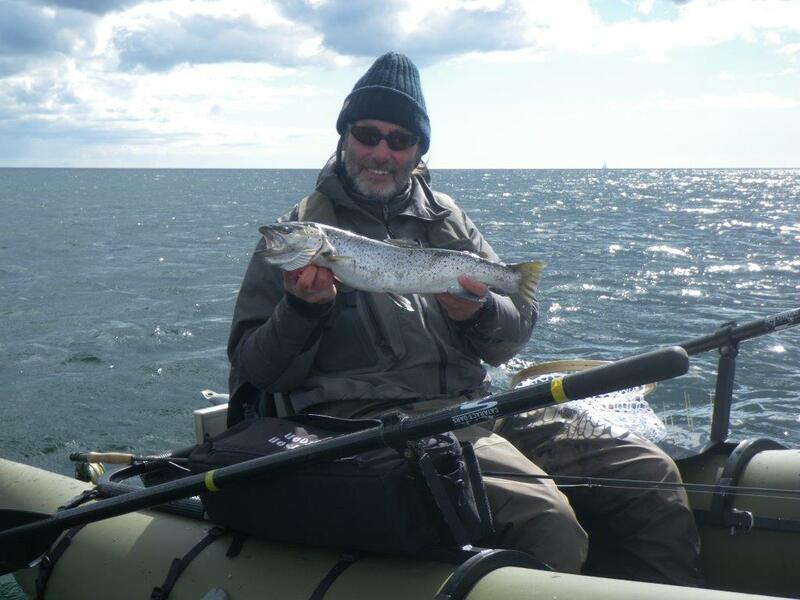 Despite most of the fish were small we lost some nice fish and here Allan presents a nice fish. All in all a good trip and I would like to come back and give it another try and then we hope the wind will be kinder to us next time. A week of fishing from pontoon boats in Glomma and Folla with Lise, Henning, Gunnar, Anders, Harry and Art. 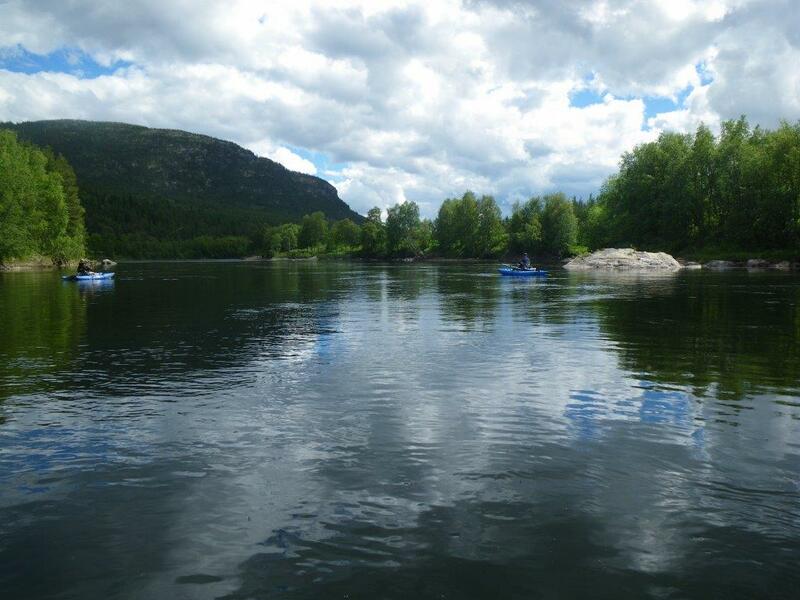 When the weather is nice the norwegian landscape is hard to beat and we had several good days like this. 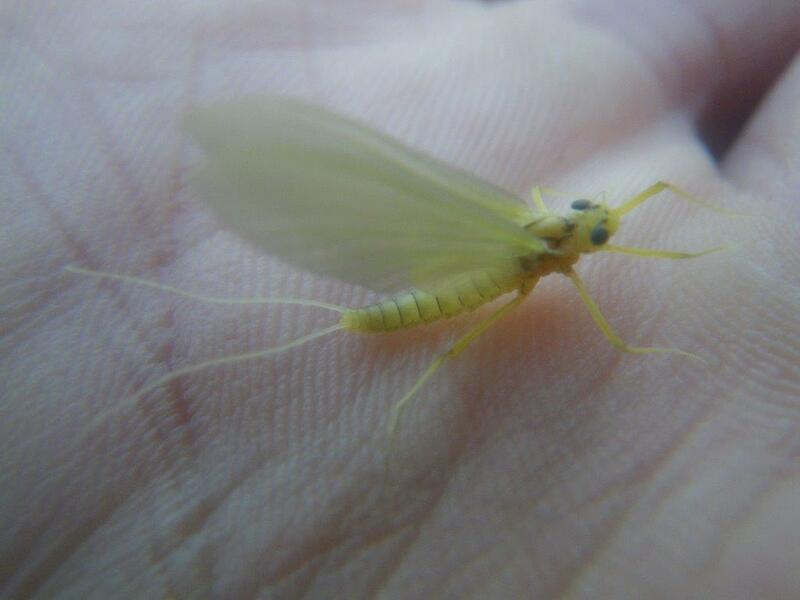 Furthermore as we wanted to fish with dry fly is was a big advantage with no or just a little wind. The fish is easy to spot and they simply did not feed at the surface when the wind picked up even if there were plenty of insects. 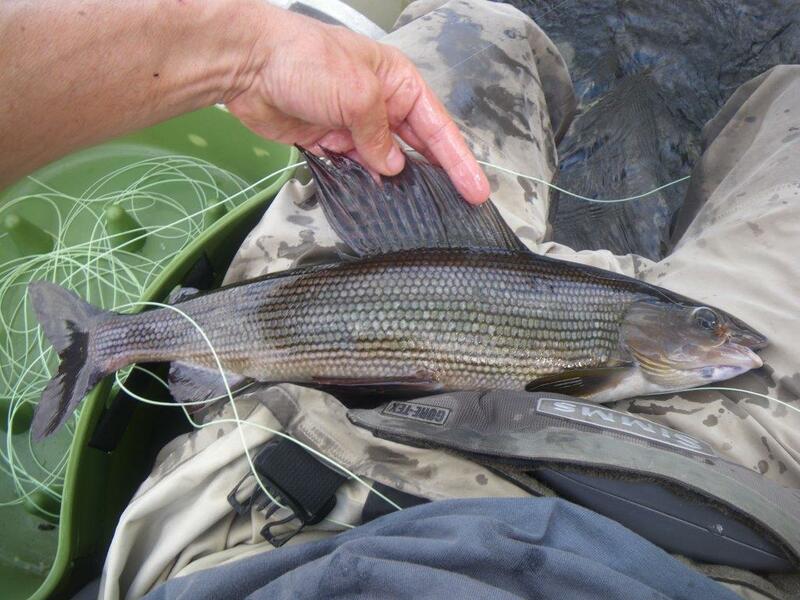 Later she could display this grayling that was released as almost all the fish we caught. Anders got this nice fish that later was smoked. We did not get anything much larger than this. 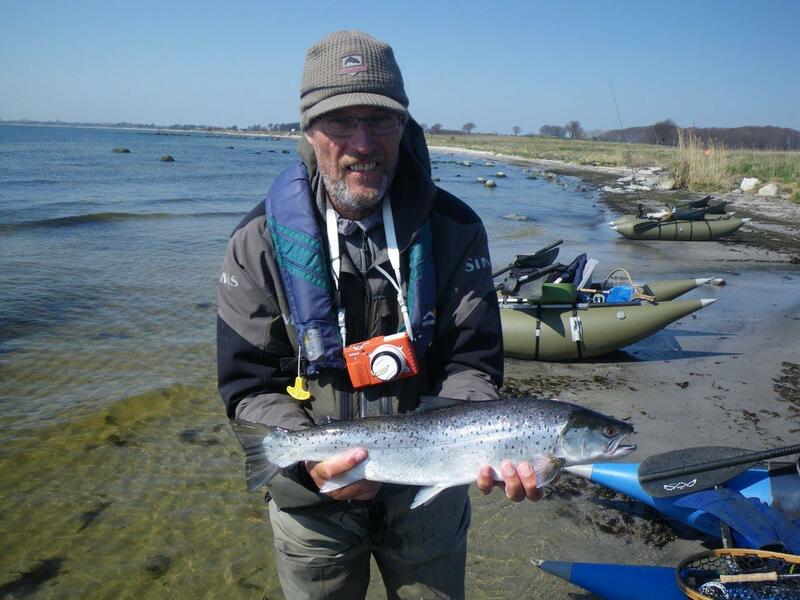 The annual trip til the south coast of Sweden fly fishing for searun brown trout from pontoon boats. This year we were six persons: Henrik L, Henrik V., Thomas, Lars A, Jan and myself. 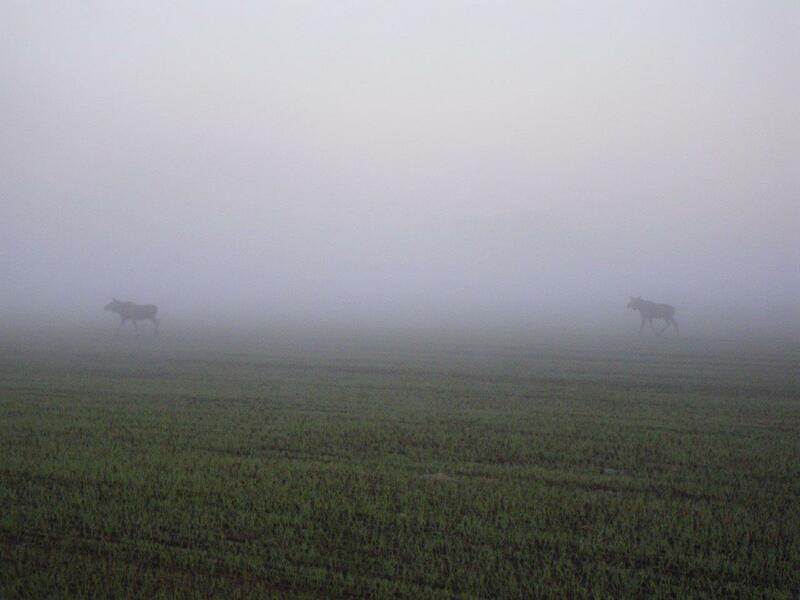 One morning we did see two mooses, which is a quite rare sight this far south in Sweden. 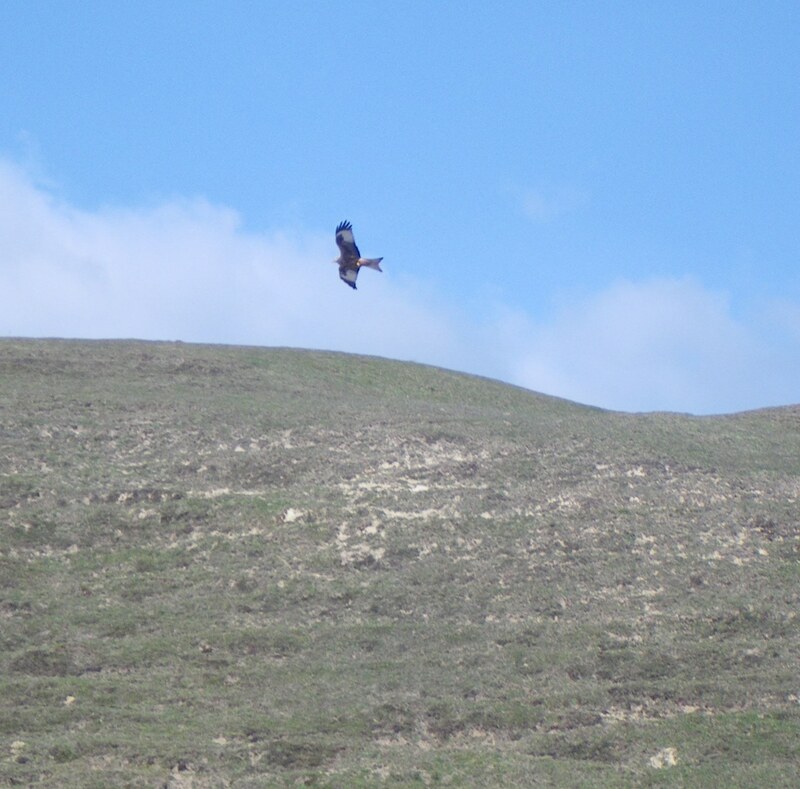 Beside this we also saw foxes, squirrel, deer and birds like kites and osprey. On these trip we normally catch a majority af kelts but this year we got many good conditioned blank trouts but generally in smaller size than normal. But as you can see we also this year got some kelts. Here Jan presents one that needed another 3 lbs. 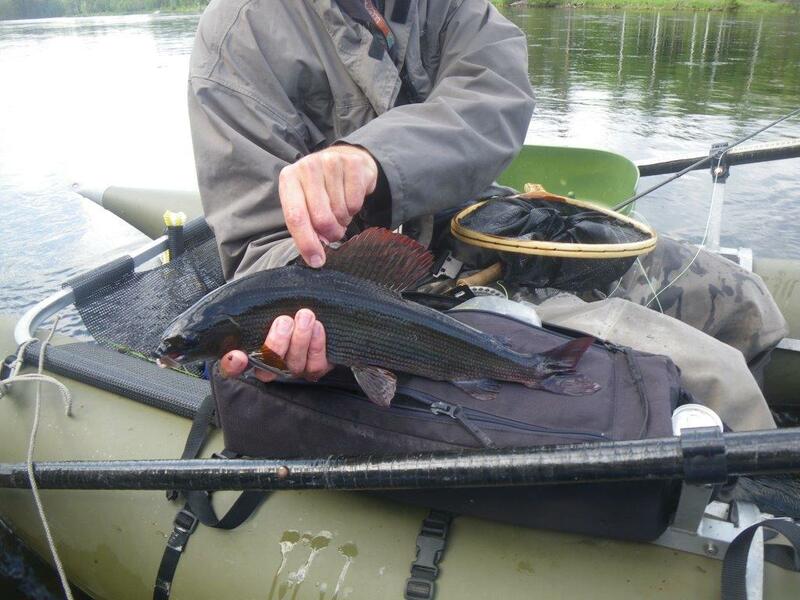 The minimum size here is 50 cm or 20 inches and we had to release many of the blank fish as they were too small. One day Thomas got this ide. We have caught these on other trips but not a common sight. From my own experience I can tell that they are not big fighters. 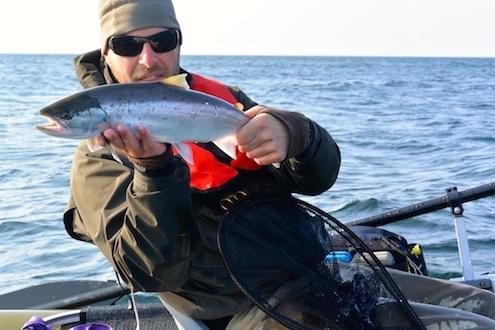 One very windy day I got the fish that was in a surprisingly good condition – it was app. 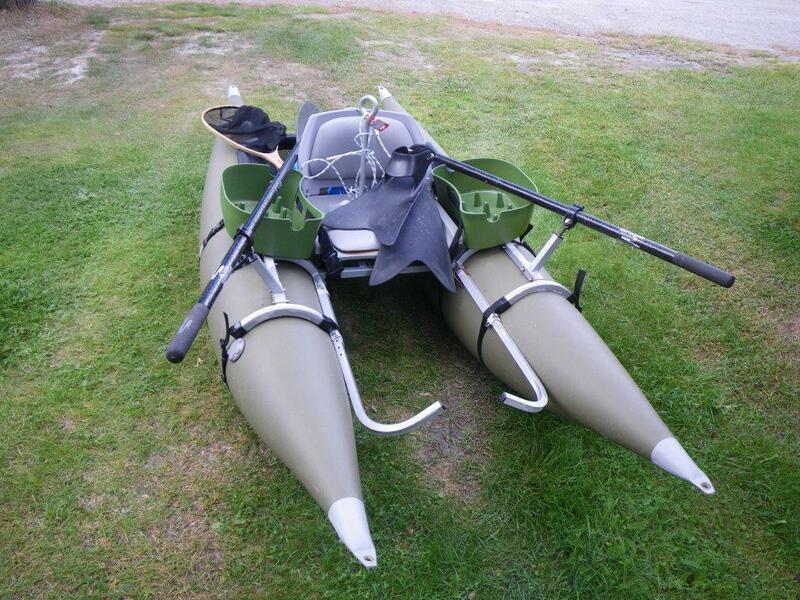 a 8 pounder – but after the landing it still had energy to jump so this is how the presentation photo came out. Everyone like this photo. 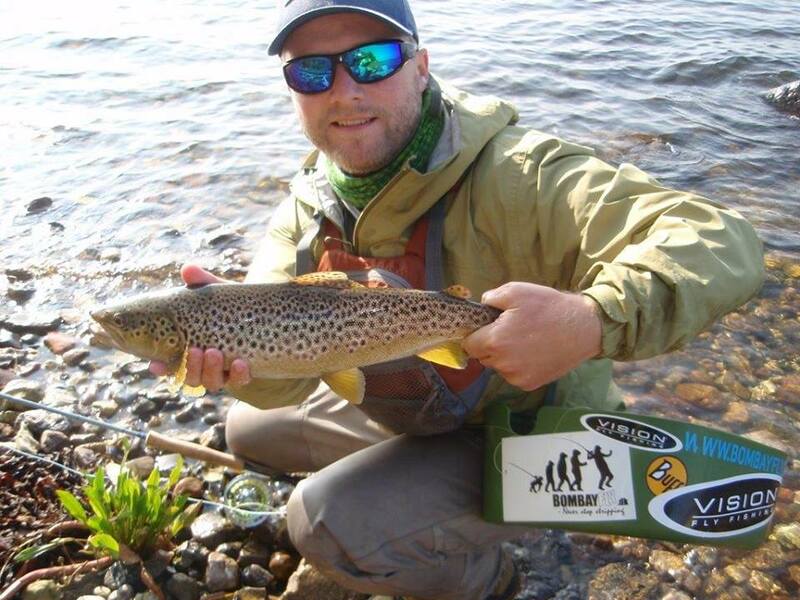 Here Henrik presents one of the nicest fish on the trip, it is a 5 pounder in top form taking on his new pet pattern which is a shrimp pattern. Shrimp patterns proved productive on this trip. 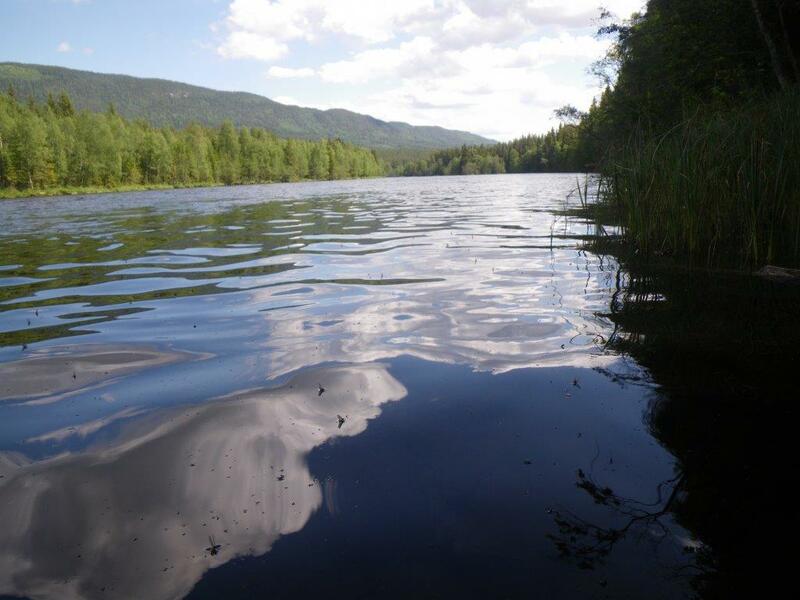 I fished with flies tied by Ove Monrad and they are very well tied and incredible durable. 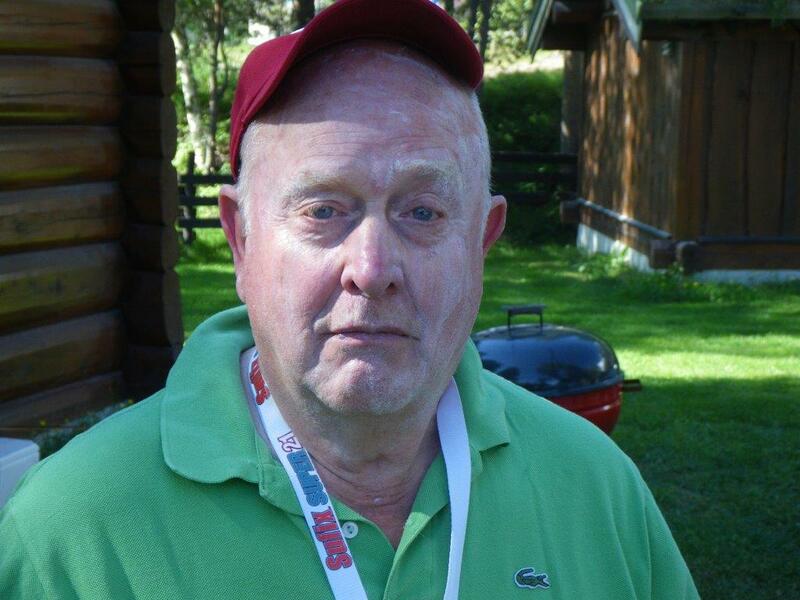 I have to take a course from Ove in how to improve the durability on my flies. Here a lineup of six pontoon boats during a break. A very unusal sight at these waters though I find fishing fly from pontoon boats by far the best way to flyfish here as the beaches are not easy to wade as there are many big and very slippery rocks and you are not that depending on the wind direction. 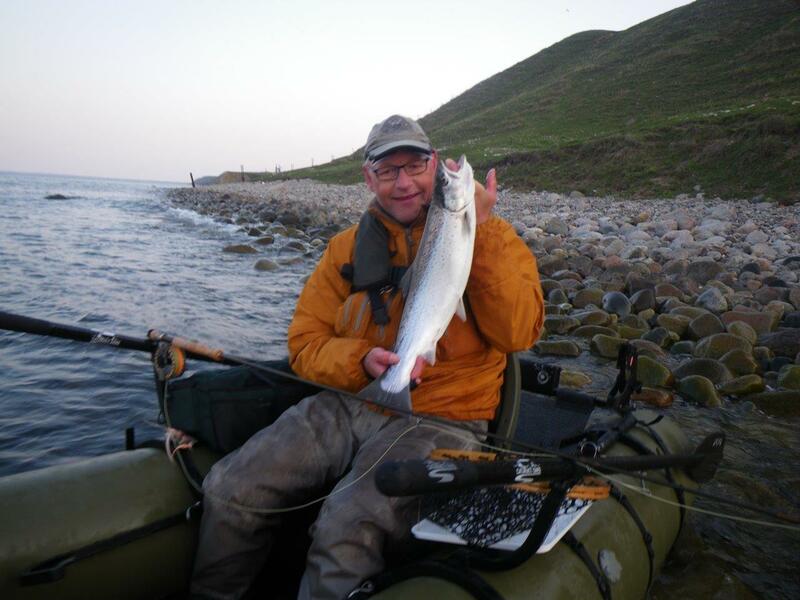 The last day some of us fished at Kåseberge and here Henrik V. got this beatiful 6 pounder which came out as the top fish of the trip. 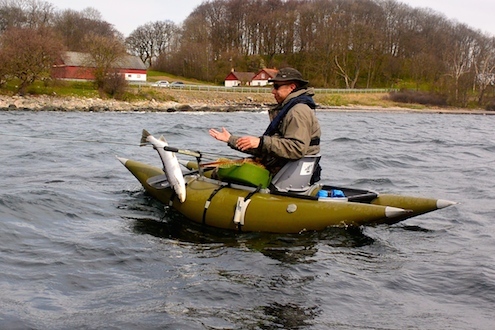 Henrik had not got many fish until then so he was very pleased. 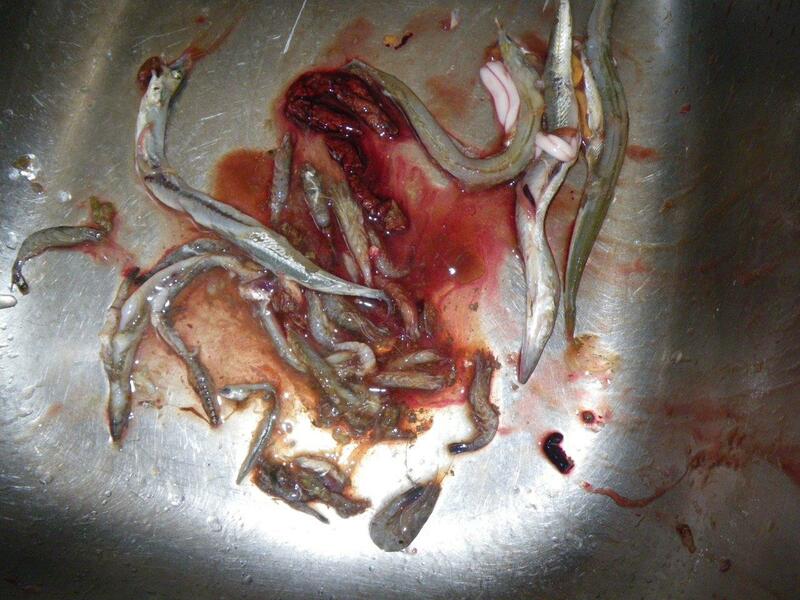 The stomach of the fish showed why it was in top condition. There were large sand eels, many shrimps and smaller fish. The last day I ended with two nice fish and it at allways nice to look Down on your stripping basket filled this way after a morning of fishing. Thomas on the last day got several blank fish like the one presented here and this sums up the trip in many ways.